Credit card debt can be completely eliminated (“discharged”) in Chapter 7. In Chapter 13, credit card debt must be paid, starting at 1%. Increases may apply based on your income and assets. 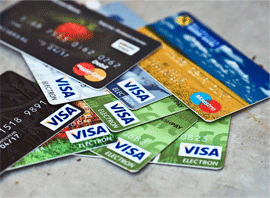 Credit card companies, generally, cannot garnish in South Carolina if they get a judgment. If you currently work in another state. Judgments, which last for ten years in South Carolina, may become a lien on real estate and may cause a creditor to attempt foreclosure or seize your “non-exempt” assets.